How An Iowa Workers’ Compensation Claim Works | Pothitakis Law Firm, P.C. For the thousands of workers who are injured on the job every year, Iowa workers’ compensation is available to provide vital benefits. Through this system, injured workers and their families can obtain medical care and wage replacement to help ease the burdens of a difficult time. For many, however, navigating the workers’ compensation claims process can seem confusing and overwhelming. Too often, workers miss out on benefits they deserve because of simple mistakes and unnecessary denials. Here, we take a look at how the process works to help injured workers find the information and confidence they need to move forward. If an employee fails to report an injury within the mandated time frame, the claim could be denied. The 90-day window begins on the day the injury occurred or on the day on which the employee should have reasonably known he was suffering from a work-related injury. In turn, employers are required to file an electronic report with the Iowa workers’ compensation commission within four days of the report of an injury. Additionally, employers should notify their insurance company of the claim. 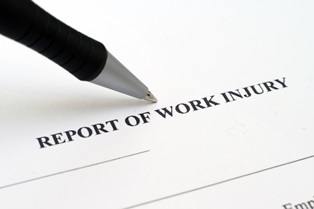 It is typically not necessary for the injured employee to file the claim with the state. It is important to note that injury victims should be very cautious when speaking to insurance representatives. Often, insurance companies attempt to minimize their own financial responsibility by convincing injured workers to offer more information than is necessary or to sign unfair settlements. After the investigation, the insurance company will either approve or deny the claim. If the claim is approved, compensation will be determined by the state-set schedule. The law is written to encourage prompt payment of benefits, so injured workers can expect to start receiving compensation shortly after an approval. If the claim is denied, however, it may be necessary to file an appeal. An appeal can be filed with the Iowa state commission. This is known as a contested-case proceeding, and it typically involves a hearing before the commission. At this hearing, the injured worker and his employer are given the opportunity to state their case, offer evidence, answer questions, and more. An appeal must be filed within two years of the date of injury. Seek medical attention. Many claims are denied simply because the worker failed to seek care. If an injury does not prompt a worker to obtain medical care, it can appear to insurance companies and the state commission that it is not severe enough to warrant benefits. Take immediate action. Don’t delay in reporting your injury, seeking medical care, answering questions from the insurance company or state commission, or getting the process started. While the deadlines may seem far away, it does take time to gather and file the appropriate information. Keep records. Maintain copies of all correspondence you send and receive. This helps keep insurance companies and employers accountable if they make false claims. Find experienced legal representation. While not every workers’ compensation claim requires an attorney, if you suffered a serious injury or your benefits have already been denied, a knowledgeable lawyer can help you fully understand your rights and be an aggressive advocate to help you meet your goals. If you or someone you love has suffered an injury at work in Iowa, you may be eligible for workers’ compensation benefits. At Pothitakis Law Firm, our experienced legal team is here to answer your questions and help ensure that you and your family are able to obtain the care and compensation you deserve. Call our office nearest you to speak with a member of our team and learn more. Next PostNext Can I Use My Own Doctor For An Iowa Workers’ Compensation Claim?